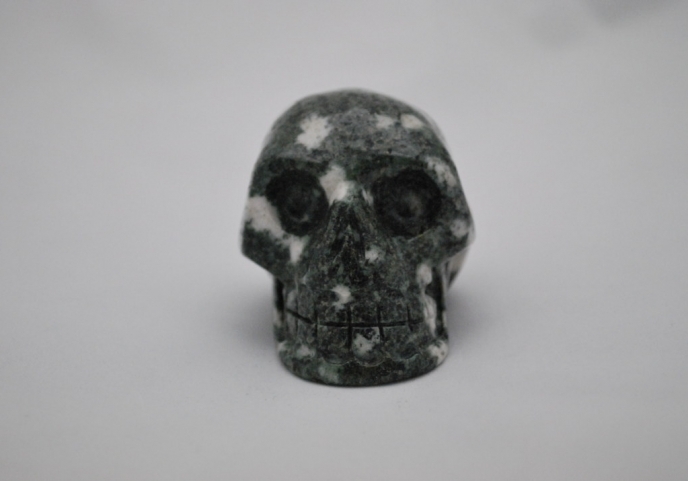 Preseli Bluestone has a strong connection with the electrical impulses produced by the human body, and has a particularly strong connection with the heart. Bluestone clears the heart centre, and strengthens the electrical workings of the heart. It improves electrical communication throughout the body, which in turn serves to balance and strengthen the immune system. The electrical connection does not stop there, but helps us to link into the electromagnetic field of the Earth itself. In addition, Bluestone clears the Throat Chakra, aiding communication as well as assisting the body’s regulatory process. In Chinese medicine, it links with both the Heart and Stomach Meridians. Basalt and other similar volcanic rocks, such as dolerite, represent our potential, and Bluestone is no exception. Spiritually, Bluestone can be used to strip away the layers that have shaped our personality and belief systems through environmental factors, so we are able to remember the core of who we are, and through this, open our perceptions of the world around us. By letting go of old perceptions, we may be able to see the universe in all its multi-dimensional glory.